Beautifully said Roger!! What a powerful witness too. Blessings! 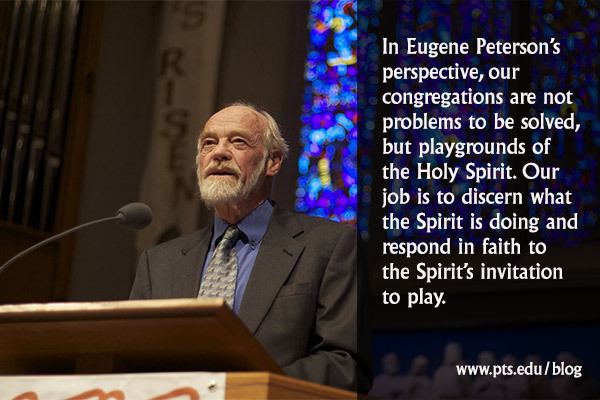 Dear Roger – I was one of the last folks to be mentored by Rev Peterson. I’d asked him if I could meet with him as part of my proposal for the Lilly Grant for Pastoral Renewal. After I told him I’d won the grant, we made plans to meet early in the summer of 2017. Just let me say that I completely agree and identify with what you’re written here. It has been a hard process over my ten years at the church to set aside the demands and expectations (those imposed by the church and those that are self-inflicted) to live into the vocation of pastor. I think spending time with him and with his books has made a huge difference.